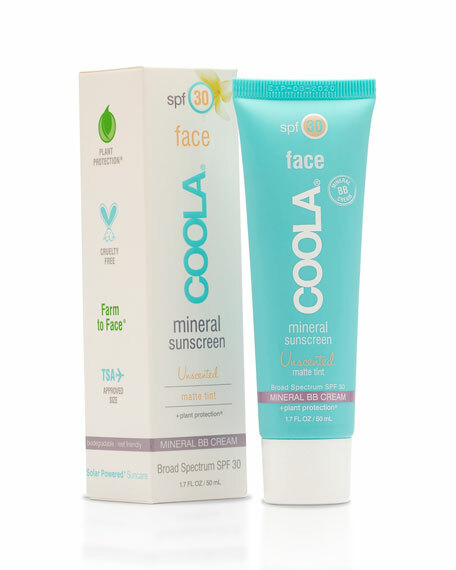 Coola Mineral Face SPF 30 Matte Tint Face Sunscreen, 1.7 oz. 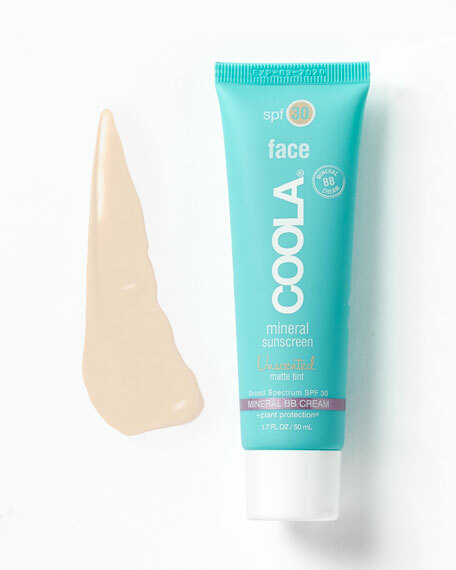 CoolaMineral Face SPF 30 Matte Tint Face Sunscreen, 1.7 oz. This antioxidant-rich, non-greasy mineral formula offers broad spectrum SPF 30 sun protection and a light tint to keep your complexion looking fresh and flawless. Suitable for oily skin types, the matte finish works to control shine throughout the day and even functions as a primer when worn under makeup. Rose Hip Oilrich in free radical fighting Vitamin Cand hydrating Shea Butter help skin improve elasticity and retain moisture for an overall healthy complexion. Shea Butter: Keeps skin soft, nourished and protected from moisture loss. It is an ingredient known for its gentle, soothing properties. Plankton Extract: A phyto-protector, this extract is from the tropical ocean and helps to restore moisture and rejuvenate skin. Rose Hip Seed Oil: Packed with essential fatty acids to help restore moisture and soothe sensitive skin. This luxury sun and skincare line incorporates a farm-to-face sourcing philosophy that embraces better for your skin, better for the environment. 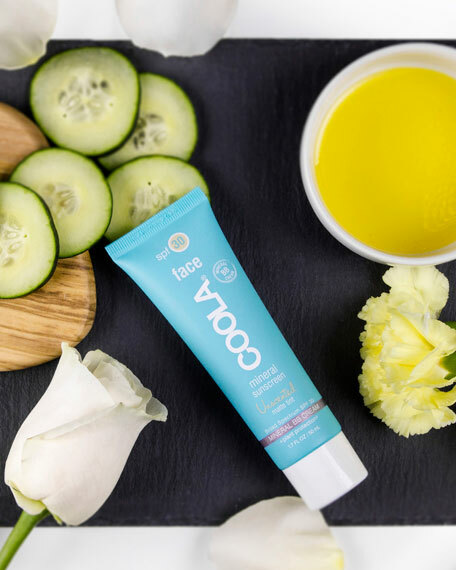 Coola uses the most natural ingredients possible, and their products contain over 70% certified organic ingredients.